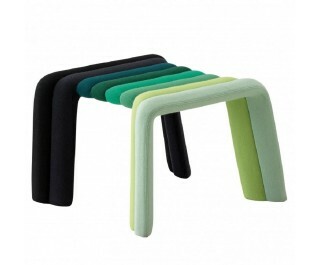 Nuance is a new concept in upholstered seatings. The upholstery of Nuance incorporates a subtle range of colours thanks to the careful workmanship involved in utilising fabric off-cuts. Nuance combines a strong ergonomic approach with visual appeal and the hand-made tradition of the master craftsman, giving extra value to the product as well as minimising waste.